As part of our ‘Year of Connections’, run by our dedicated Dementia Services Team, we’ll be building on our residents connections with others and the world around them. This is what gives us all as human beings the greatest sense of purpose, wellbeing and value. Each month we'll be focusing on a different theme around the word connection, relevant to our residents, including those who are receiving dementia care. 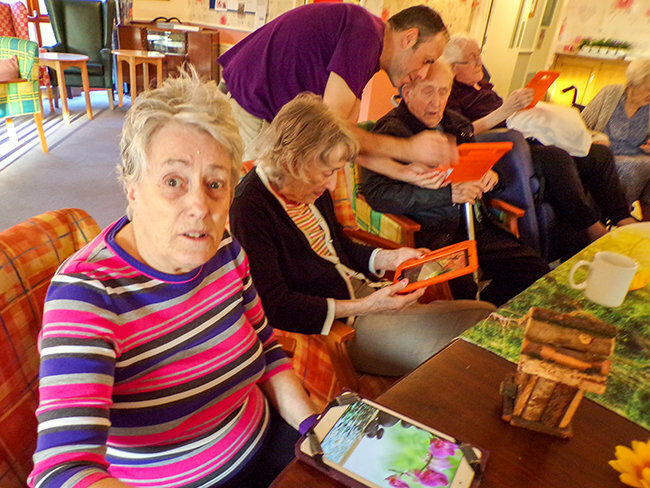 Pictured here, Mrs Gladys Spackman, a resident at Park View care home in Witham, Essex, enjoyed a video call with daughter and family in Australia on Christmas Day and residents of Jubilee Court care home with nursing in Hucknall, Nottinghamshire, took part in a 5 week activity course with Creative Paths CIC, for 2 hours each week, learning to use different engaging apps available on tablets such as the facility to video call family. Residents were connecting with family and friends across the UK and in New Zealand. 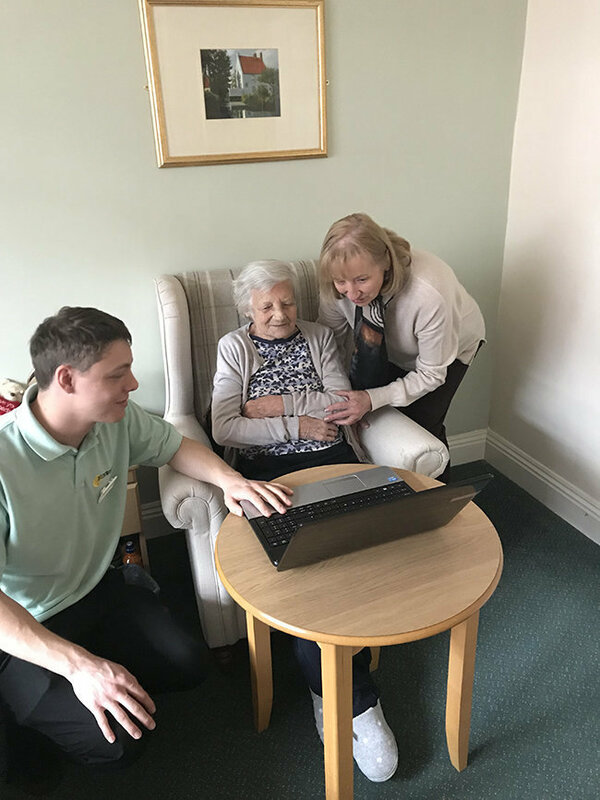 Technology has made the world a smaller place and it is easily accessible for many of our residents to Skype and FaceTime, no matter how near or far. For more information about our residential care services, please browse around our website.